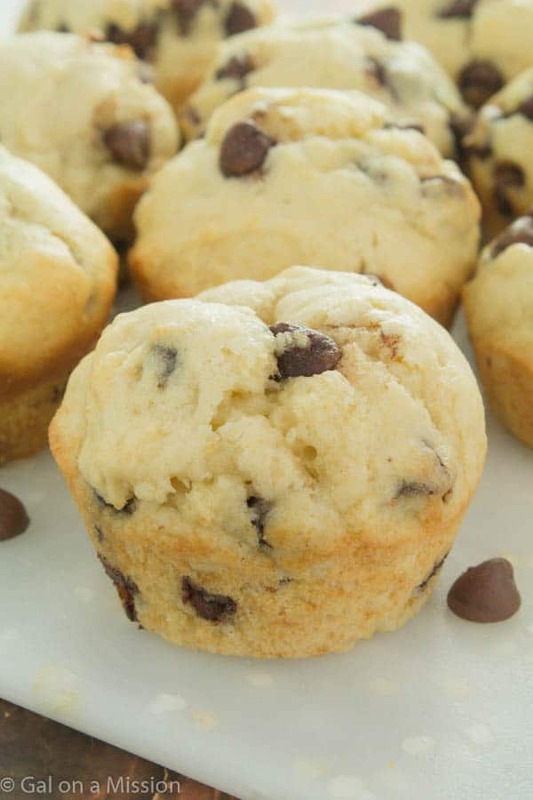 These are definitely my new favorite muffins – easy chocolate chip muffin recipe. 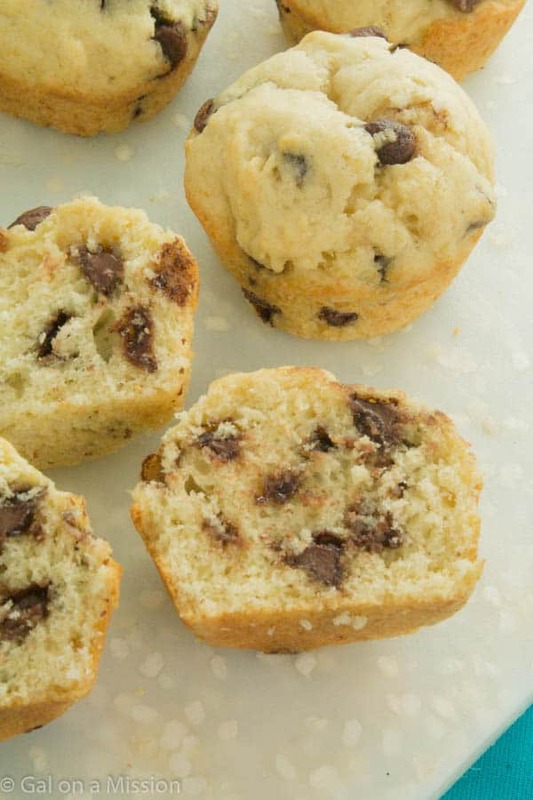 Packed with tons of chocolate chips and super-moist! Lately, I have been craving muffins – all kinds of muffins! I have a couple of great muffin recipes already, but I really had a taste for just a basic muffin with maybe one add-in. That’s all. 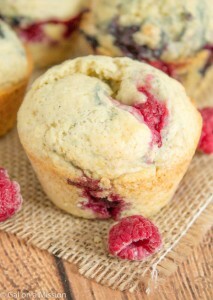 Now these muffins are definitely light and extremely moist – gotta love buttermilk. You might remind you of a cupcake because of how light it is, but it is a hearty muffin. There are so special tricks, well besides the buttermilk. They are not complicated, such an easy recipe. 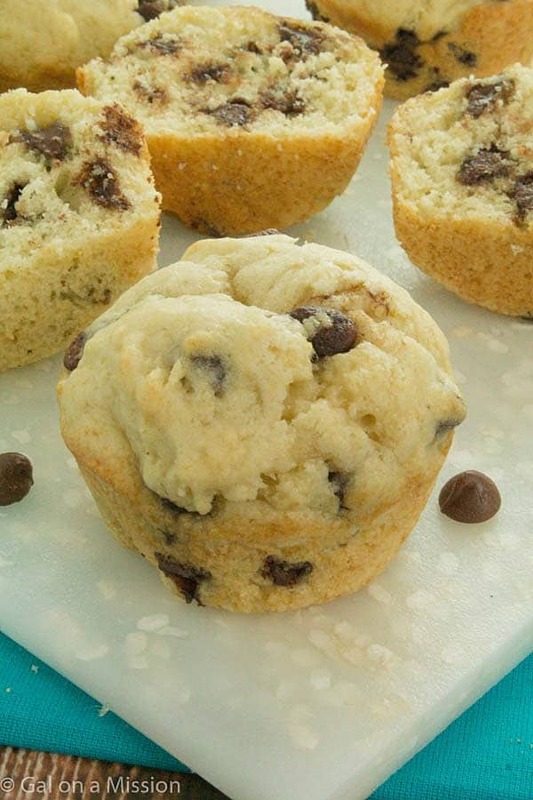 Hence the name…easy chocolate chip muffins. You do not have to worry about dirtying more than one bowl – everything is whipped up in one large bowl and with only one spatula. These are definitely my new favorite muffin recipe. I have made them a couple of times and the hubby devours them each and every time. Such a winning muffin recipe. Did I mention that it only takes 10 minutes to get them into the oven? Oh yeah! My favorite kind of recipe. 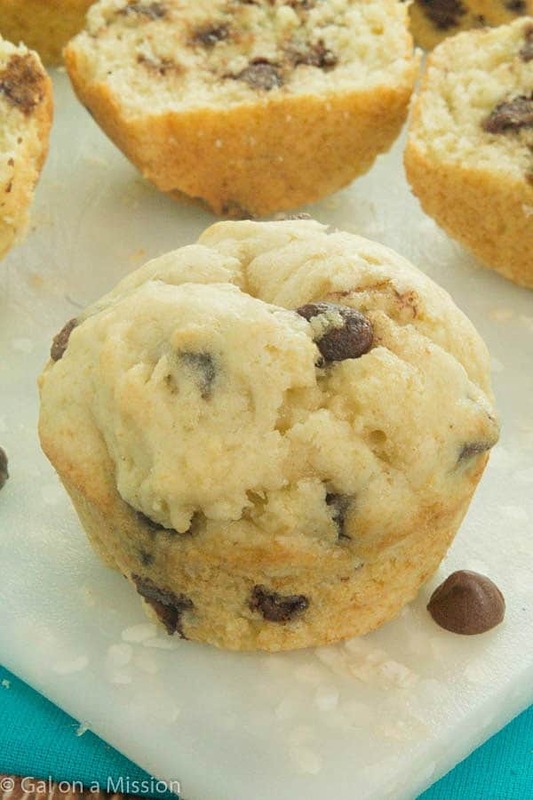 They are so many chocolate chip packed into these muffins – 2 cups. I originally tried it with just 1 cup and it was no where near enough. 2 cups is plenty and jam-packed. Once you mix all of the ingredients together, you will want to fill the muffin tin all the way up. I prefer to have my muffins sky-high and round. You won’t get as many muffins as you would if you just filled it 3/4 of the way – about 18. Sky-high is about 15 or less, depending on how high. You will initial want to bake them at a high temperature, and then reduce the temperature. The hot burst of air will spring up the top of the muffin quickly. Yum! Preheat oven to 425 degrees. Spray a muffin tin with non-stick cooking spray, or you can line with liners. In a large mixing bowl, combine the buttermilk, oil, and eggs. Mix together using a plastic spatula. Add in the sugar and vanilla extract. Mix in the flour ½ cup at a time until thoroughly mixed together. Fold in the baking powder. Pour the batter into the muffin tins. If you want sky-high round muffins, fill all the way up. If you want smaller ones, fill ¾ of the way up. Bake for 5 minutes. Bring down the temperature to 375 degrees and bake for 10-12 minutes. Allow to cool. They look wonderful! I was craving chocolate chips yesterday and had to do a little baking! I’ll have to try your muffin recipe too! 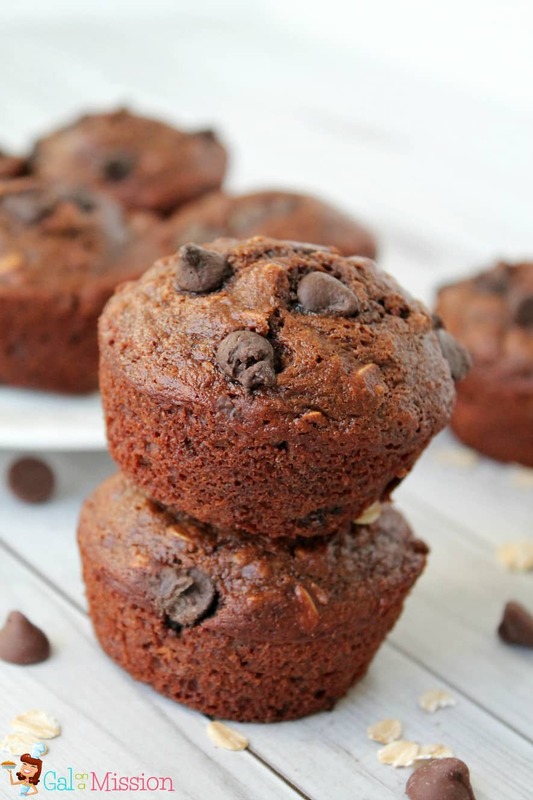 Love recipes like this one- chocolate chip muffins are my ultimate comfort food! Lovely recipe! You and me both! Thanks, Jess!! These were great! For a husband that doesn’t like muffins he sure did eat 4 before they cooled! Hi! Made these tonight and they turned out wonderful! Thanks for this easy recipe!